Sophistication and Timeless Design. 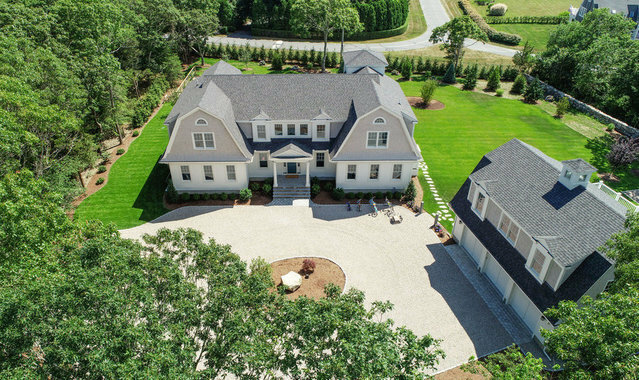 Welcome to 16 Mattarest Lane, a new construction estate surrounded by a balanced, manicured landscaping in the beautiful community of Nonquitt in the Buzzards Bay area. Luxurious finishes include Porcelanosa tiles, Wolfer's lighting, recessed LED lights throughout and a carriage house with a three car garage with studio above. First floor features an inviting two-story, open space family room with gas fireplace on a custom floor-to-ceiling tiled wall, which leads out through French doors to a large covered deck. Gourmet kitchen includes custom cabinets, 9' island with quartz countertops and top-of-the-line appliances. Second floor master bedroom features a spiral staircase that leads to a tower room with ocean views of Buzzards Bay, large master bath with custom quartz tiles, and walk in closet. The gated Nonquitt community offers tennis courts, golf course, summer day camp, community center and 3 private beaches.